D.V. 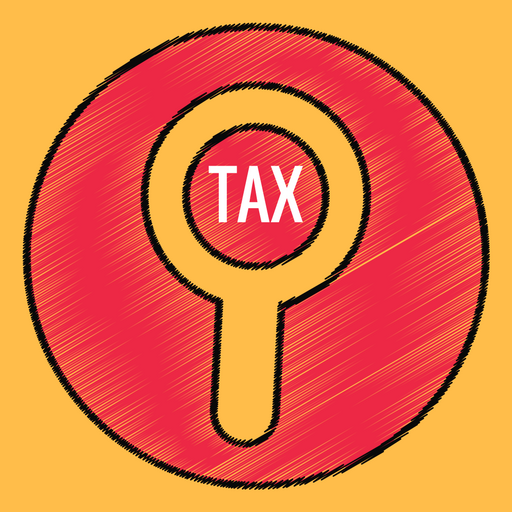 Shylendra Kumar, J.-This appeal under section 260A of the Income-tax Act, 1961 (for short “the Act”), is by the assessee and is directed against the common order dated May 31, 2012, passed by the Income-tax Appellate Tribunal, Bangalore Bench, Bangalore, in I. T. A. Nos. 960 and 961/Bang/2010 and relating the assessment years 2003-04, 2005-06. However, the present appeal is confined to the common order in so far as it relates to the assessment year 2005-06 and with reference to I. T. A. No. 961/Bang/2010 before the Tribunal. 2. The very facts leading to the present appeal is that the assessee had filed return of income for this year and even while the assessee had claimed its status as partnership firm and had returned certain income under the heading “Business” which was relatable to the income from leasing of the properties of the assessee and even before finalization of the return and passing of the assessment order, the assessee had been issued with notice under section 148 of the Act and on being pointed out that notice under section 148 of the Act cannot be issued even when the return filed by the assessee still to be processed and assessed, but nevertheless, the Assessing Officer proceeded to pass assessment order overlooking this objection raised as per the assessment order dated July 30, 2007, passed under section 143 read with section 147(3) of the Act and assessing the assessee in the status of the firm, but treating the income as from house property, as against the claim of the assessee that it should be assessed under the head “Business income”. 3. It also appears that only income of the assessee was from such leasing activity which was the lease of commercial complex owned and developed by the assessee. The appeal to the Appellate Commissioner having failed, the assessee had filed second appeal before the Tribunal. Incidentally, in so far as the assessment year 2003-04 is concerned, the assessee was agitating the question as to whether it should be assessed in the status of the firm as claimed or in the status of association of persons and the Assessing Officer did assess the assessee in the status of firm. The claim that the income should be assessed under the head “Business income” was not accepted and it had been brought to tax under the head “Income from house property”. 4. The appeal for the assessment year 2003-04 involved this question. In the common order passed by the Tribunal, the Tribunal noticed that in so far as the question raised for the assessment year 2003-04 is concerned, it had earlier been concluded in respect of the very assessee ; that the income can be assessed only under the head “House property” and, therefore, there is no merit in the submission. Be that as it may, the subject matter of this appeal is only order relating to the assessment year 2005-06. 5. In so far as the appeal relating to the assessment year 2005-06 is concerned, the Tribunal partly allowed the appeal, in the sense that, while assessing the income under the head “House property” was upheld, the question as to whether there could have been reopening or otherwise was not decided, but the matter remanded to the Assessing Officer to decide this question in the light of several judgments relied upon by the assessee before the Tribunal. 6. It is aggrieved by this order, the present appeal. 7. Appearing on behalf of the appellant-assessee, Mr. Ashok A. Kulkarni, learned counsel submits that reopening by the Assessing Officer even during the pendency of regular return filed by the assessee and, therefore, the assessment should have been concluded only under section 143 of the Act and not by resorting to issue of notice under section 148 of the Act and assessment under section 147 of the Act. 8. However, it is further submitted that when the matter is being remanded to the assessing authority, the assessee should not have been preempted of the question as to whether the income should be assessed under the head “House property” or under the head “Business income” and should not have applied the consequence applied for the assessment year 2003-04 for this year also as the matter was being remanded. 9. Notice had been issued to the respondent. Sri K. V. Aravind, learned standing counsel appearing for the respondent, has pointed out that the matter is remanded to the assessing authority and the question of validity of the notice, need for invoking the notice under section 147 of the Act is left open by the Tribunal to be decided by the Assessing Officer and based on the judgments on which the assessee had placed reliance before the Tribunal. 10. It is, therefore, submitted that there was no occasion for this court to examine this question as the same does not really arise and as it is not really concluded and on the question as to whether income should have been assessed under the head “House property” or “Business income”, it is pointed out that the question as raised and as submitted by Sri Ashok A.Kulkarni, learned counsel for the appellant-assessee is not tenable as the nature of income whether it is to be assessed under the head “House property’ or “Business” is not dependent on the status of the assessee as to whether it is assessed in the status of “association of persons” or in the status of “partnership firm”. 11. Sri Ashok A. Kulkarni, learned counsel for the appellant-assessee, on the other hand, submits that though for the year in question, the question may be academic, nevertheless, for the future the assessee would like to guard against the possibilities of assessment. 12. We find that when the question does not really arise for our consideration from the order of the Tribunal, it is not necessary to go into for examination of this question as for academic purpose. In so far as reopening is concerned, the matter having been remanded and being kept open, that again is not a matter which is required to be examined by this court in this appeal to decide on the substantial question of law. The Tribunal itself has reserved liberty on this aspect to the Assessing Officer. 13. Even to allay the apprehension of Sri Ashok A. Kulkarni, learned counsel for the appellant-assessee, we may notice that and as submitted by Sri K. V. Aravind, learned standing counsel appearing for the respondent, the concept of res judicata is not strictly applied in tax matters as in civil matters and particularly under the Civil Procedure Code, 1908, as each assessment year is different and it is for the assessee to assert its position and make it good and it is always open to the assessing authority to examine such matters, but in view of the remand order passed by the Tribunal reserving liberty to the Assessing Officer, we do not propose to interfere with the order of the Tribunal not warranting examination in the appeal under section 260A of the Act. It is open to the assessee to take up such contentions as are available in law and as and when situation arises. 14. Reserving such liberty, this appeal is dismissed. This entry was posted in Sec. 206A and tagged 357 ITR, In favour of Revenue, Karnataka High Court.